Patch tuesday came and went. 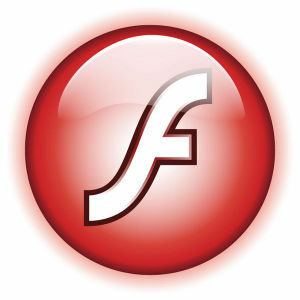 We have new Flash from Adobe and as a result, the Google Chrome browser also had a version bump and a new “PepperFlash” Plugin. Time for an update of my own Chromium package (just for Slackware 14.1 & current; the package for 13.37 & 14.0 remains at 37.0.2062.94 but you can of course compile a newer one yourself). CVE-2014-3179: Various fixes from internal audits, fuzzing and other initiatives.. I also updated the package for chromium-pepperflash-plugin to version 15.0.0.152. As usual, the flash library is taken from the official Google Chrome binaries and integrates nicely with my Chromium package. Note that Chromium contains a PDF plugin these days, so if you still have an old “chromium-pdf-plugin” package installed, you should ‘removepkg’ that now! 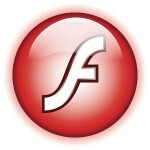 The Flash updates are released for all platforms, one of them is the “legacy” Linux NPAPI plugin for Mozilla-compatible browsers. See Adobe’s monthly security bulletin for all the version numbers and vulnerabilities. The Linux flashplayer-plugin went up to 11.2.202.406. I will see about a soon-ish update of pipelight and wine-pipelight if there are enough enhancements. Good luck with these updates! Posted: 11 September, 2014 in Slackware, Software. Yeah I kept two backslashes in there that should not have been there. Courtesy of copying from the doinst.sh instead of from the actual /etc/default/chromium file. I updated the post with the correct strings. Thanks Eric! I was updating -current and this showed up the day before your post here. Hi Mike. Indeed, I try to keep a day inbetween to ensure that package mirrors are uptodate. Wrong flash version reported by the browser again. I had to manually paste it in the /etc/default/chromium file. Thanks for the new pkg btw. I see a problem. When try to write in Cyrillic in web site fields (like comments, etc.) nothing happens. thanks for this new Chromium version. Anyway, I just would like to report that this version does now accept German characters like “ä, ü, ö, ß”. If this is because you changed something I can not tell. I basically didn#t change the setup of my Slackware 64 current machine. However, I am happy about it. Looks like it was copied and pasted from a previous entry. It messes up the RSS feed as well. Strange, it was OK on my local machine. Somehow I must have generated the metafiles for the repository half-way an update. I have synced the server version to the correct files on my local machine. Akamai caches the content on slackware.com so it will take a little while for the page to refresh.